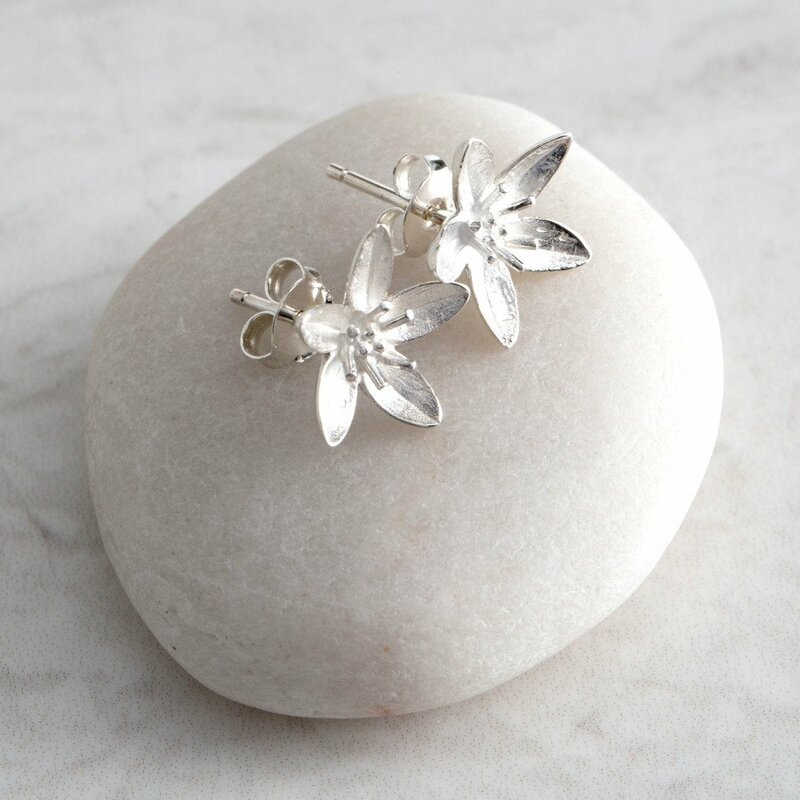 With polished edges and white frosted centre, these delicate wild garlic flower stud earrings are made from recycled sterling silver hint at the intricacy of the real flower. Mosami design their jewellery in the UK and it is then produced by a Made By Survivors programme in Thailand. This is a group of women who have escaped slavery and been given practical skills including silversmith training to then be able to provide for their family. The Mosami Garlic Flower 'Health' Stud Earrings product ethics are indicated below. To learn more about these product ethics and to see related products, follow the links below.